As we described in yesterday's article, there are three standard configurations for High-Band Arrays (HBAs) in conventional LOFAR stations. 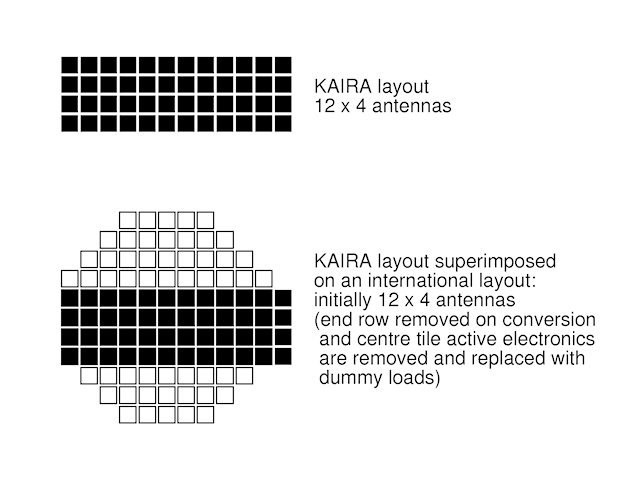 KAIRA will also use LOFAR hardware for its antennas, thus making use of the proven design and also retaining compatibility with the LOFAR system. In total, there will be 48 HBA tiles in KAIRA. But although you might first think that the KAIRA layout might look similar to a 'remote station' or perhaps even a two-part 'core station', this is not the case. 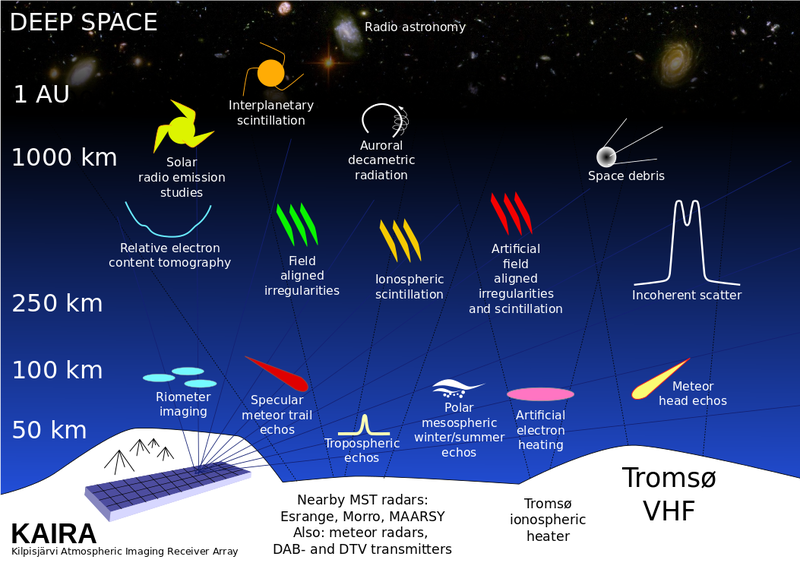 It has to maintain a elongation in the direction of the Tromsø VHF transmitter. 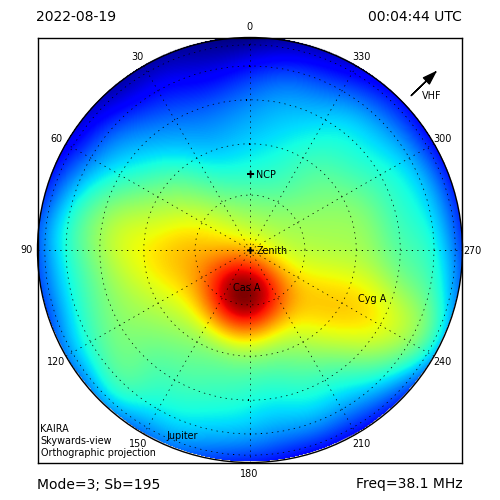 This is to maintain the optimal beam pattern when looking at target regions of the ionosphere. There needs to be good access to the site, in order to deploy the tiles, maintain them, and protect them from the Arctic conditions. The volume of levelling of the ground needs to be minimised. This is to save costs, but it also saves valuable time during the extremely short summer when the array will be installed. 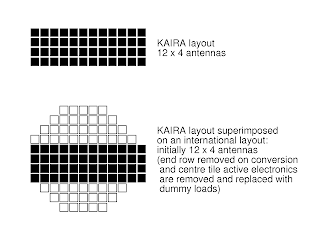 There needs to be the option to upgrade KAIRA from 48 tiles to a full 96 tiles, thus converting it into a full-size international station. And, that upgrade needs to be done in a way to achieve the standard international layout, with minimum disruption to the existing array. This means that the most optimal layout is a 4×12 grid. From there, only one row of tiles needs to be removed, and then additional tiles added to the sides, to complete the upgrade to the full international station layout. The 4×12 layout is then rotated so that it points at an azimuth of 313 degrees with respect to North. This puts it on the alignment axis between Kilpisjärvi and the VHF transmitter in Tromsø (we'll write more on this transmitter soon). Curiously, it is also the same layout as the Kiruna phased array, which is part of the EISCAT_3D prototype work (yes... there be an article on that soon, too!). The dark-blue squares are the HBA tiles of KAIRA. 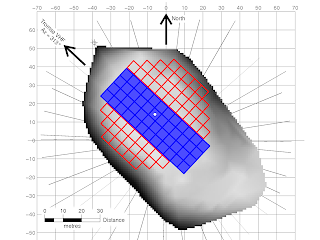 The red outlines are the additional tiles that would need to be added to convert KAIRA to a full international LOFAR station configuration. In addition, the four end tiles (in the lower-right) of KAIRA would need to be removed to restore the symmetry. The white dot marks the centre of the international station layout. This would also be the dummy tile in that configuration, although it is a fully active tile in the KAIRA layout. There will be lots more about the KAIRA configuration and deployment over the coming months.